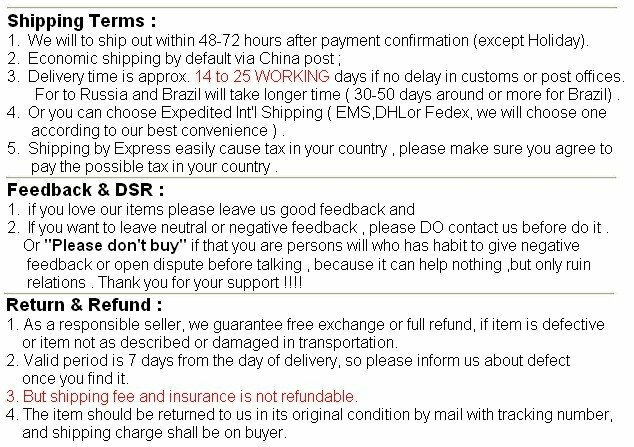 “Any dispute / Direct negative feedback” before contact means “Buyer Rubbish ” !! And not welcome such buyer !! Please go away !! ( Because business is cooperation ,not fight each other ) . if any problem found ,please contact to solve by a friendly way . Booster kits with 10 meters of cable and antennas ( indoor and outdoor ) . 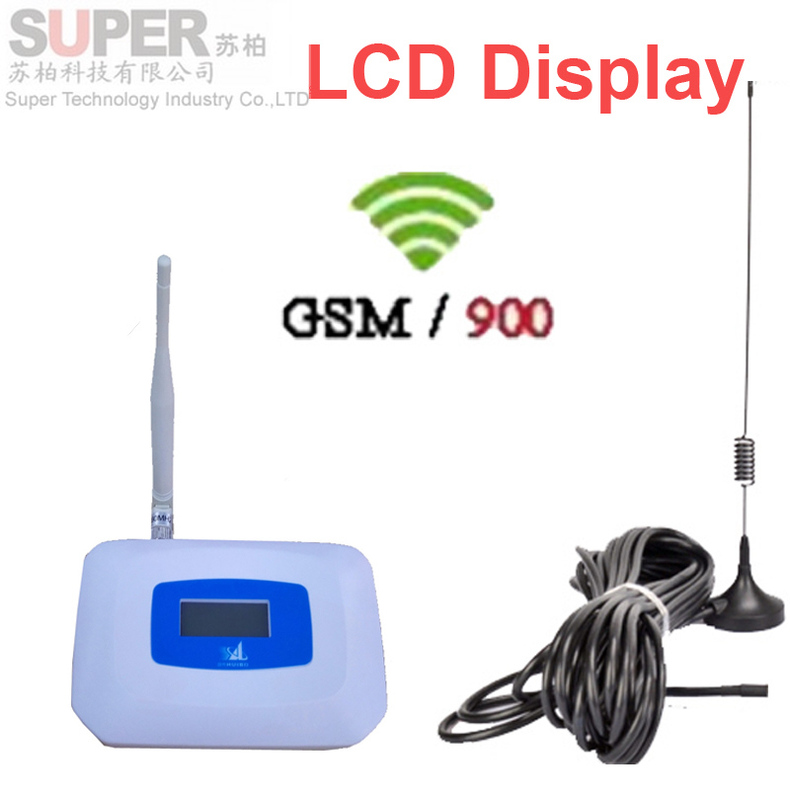 LCD display GSM 900mhz mobile phone signal amplifier,cellphone repeater/booster. Slim size and light weight ,easy to put anywhere . 4. F/N connector included ( for one set only ). 5. 320g / 10 Meters ( for reference only ) . If you need more long cable , please contact . 1. To use this product to enlarge your signal, the outdoor signal where put outdoor anetenna shall be as good as possible , the signal in your mobile phone shall be full and must be very stable for talking ( not fail or freeze when talking ). The product will not work good if our outdoor signal is not good or bad . And please refer to the description about signal strength DBM in above . 2. We will not bear any responsibility of your outdoor antenna signal is not good . 3. WE dont have gift packing box for this kits , we will pack all content by carton directly . 4. Please be remember that the outdoor antenna must be put outside of you house . 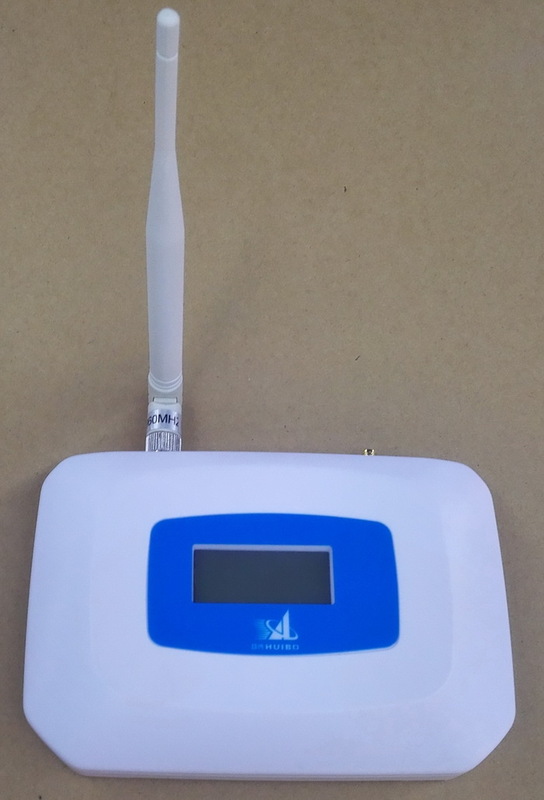 Does not support to put outdoor antenna inside of your house to enlarge your signal . So if your house bad signal and outdoor of your house is bad signal , please dont buy !! solution : try to test outdoor signal strengthness to see how much dbm can display on phone ( android or ISO phone is ok to test ) .Then move outdoor antenna to a place where is -50dbm around or -55dbm ( it is best condition ), or move antenna not face to a base station, or adjust it to lower gain or change a smaller power booster . 2. auto oscillation ,reason is that unreasonable cable and antenna installation ,they are too close . it cause big positive and negative feedback together . solution : dont put indoor and outdoor antenna in same direction , separate them by walls . solution : go to a place where is enough good signal , change outdoor antenna to a higher gain one .